Extension for large C# solutions - choose a project, and only load projects it references (directly or indirectly). Extension for large C# solutions - choose a project, and only load projects it references (directly or indirectly). 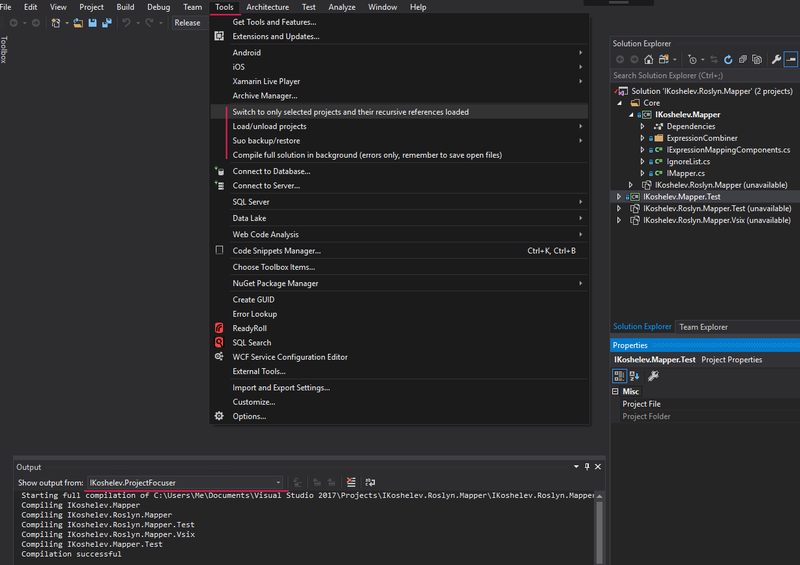 Disclaimer: Internal world of Visual Studio is quite complicated. This extension has been tested with our cases, if it doesn't work with your case - source is available on GitHub.